Yes it truly is the best VR app out there at the moment. It never fails to blow minds. A narrator (I think it was already suggested) would be a great addition in my opinion. Especially since reading text on the DK1 is a bit of a pain. I think it's a Federal Law that Morgan Freeman must narrate this. another great little non-vr demo with regards to scale that I saw today, may be of interest to those that like Titans. Dont know if you have seen this yet but we done a video review of Titans of Space last week. We used the full screen version as most visitors to our site are likely to be none rift owners. If you want to see the final score visit http://www.virtualrealityreviewer.com/GAME-detail/titans-space/. On my way out the door to drive up for GDC, but I wanted to stop here and say that I deeply appreciate all the comments as always, and thank you for the video review, WhelanWeb! Good luck with your review site -- it looks fantastic. After a long detour into other commercial and personal side projects and learning so much more about Unity in the process, Titans of Space will be getting updates in the coming months. I've got a mountain of feedback to work with and I'll do my best to hit all the major ones, and then some. I've got a blog up now at http://www.drashvr.com, and I'll be posting my progress/updates there in addition to here on the OVR forums. Drash are come back on the rail with a big project uh!? Thanks welby! Saw your comment on the last demo round-up. My apologies for leaving Rift's Cave out -- it's fixed now. Congrats on your funding and campaign, can't wait to see what you come up with too. cant wait to try this with the new devkit, higher res and sick positional tracking! Just dropped a small token of my appreciation for Titans of Space into your Tip Jar. I'm also looking forward to checking this out with DK2 & CV1! Rest assured, Titans of Space will get full DK2 and consumer Rift support as soon as it's possible. Can't wait to see it in action as well. I pretty much just want to replay every demo with the DK2 -- here's to hoping that many devs go back and upgrade their demos once the new SDK comes out. Thanks for the inspiration as well. I had fun finishing the Solar System tour on FireBox based on your page (sadly had to sacrifice the Pluto and Neptune page for other projects). Looking forward to your DK2 updates (hopefully movable hands via hydras or STEM). Sent some coins your way as well. Still rate this as the best experience so far with the DK1 and as others have said, I just can not wait to see it with the DK2! I just tried this out and I got to say, it was amazing. One minute I'm sitting in my room, the next minute I'm gazing at the planets. Truly stunning. VY Canis Majoris genuinely freaked me out. I was 100% legitimately terrified by it. Just a thought for your next update. Can you mark the locations of Armstrong's landing site, the Mars rovers, the voyager spacecraft spacecraft position and Halley's comet. I think with the new higher resolution dev kits they would make interesting stopping points along the journey. One of the moons of Saturn, called Enceladus, which can be seen in Titans of Space, hit the news this week. Scientists have discovered an ocean of liquid water beneath it's icy surface. While there is no proof of life (yet) it could be theoratically possible to host microbial life. Read more about this discovery here. Has it crossed you mind to display the planets at the right scale, but at a greater distance and traveling at higher speed? Did you run into problems with that approach? And are you planning an update for the dk2? I thought this thread was dead! @nukemarine: Thank you! And it's been fun watching you go wild with JanusVR. Endless good feedback from you. @Darius, WhelanWeb, robkaylapkr, Mekakadu, andyring: Great feedback and ideas. Doing my best to get all that in for the next update. 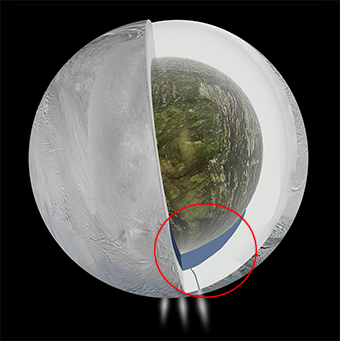 Actually, there's already been some Enceladus water jets since v1.0! I'm thinking it's not too noticeable since no one has ever pointed it out, but it's there. By coincidence, I just answered a similar question on reddit. I did indeed run into problems using real world scale, but more than that, I wanted to see miniature stuff in front of me like in a planetarium. The whole point was just to compare sizes, not to feel like you're actually in outer space. That's also the reason the Solar System is so compact -- not to be realistic but just to keep everything close together for comparison. Solar System Explorer has a very different take on this, and I've enjoyed playing it for that reason. I also wanted to show the cockpit at the same time you're seeing these giant things off in the distance, so I used a near/far camera setup, with different IPD's for near vs far, and cutting over from one scale to another partway through the experience. Lots of trickery to avoid bumping up against limits of depth precision, floating point precision, and stereoscopy detection. However, it's been difficult to keep up with all the SDK updates because of my custom SDK code and multiple camera rigs, so I've been converting Titans to use a single camera rig without any changes to the SDK. Crossing my fingers that I get it to work well. On top of that, I've added more features, improved usability, and added a tiny bit more content. I'll make a bunch of noise when the next update is released. How about distances in a right scale (relative to the sizes)? There's surprisingly long empty area (not counting the asteroid belt) between Mars and Jupiter. Well, after some calculations, if the distances were in same scale as the sizes (100000:1), the miniature distance between Earth and Jupiter would be 630000m..
For fun, I made myself a to-scale demo of the earth and the sun and some off-the-shelf ship models (enterprise, star destroyer, saturn V rocket, space shuttle). I let you free fly around with the controller at various speed multipliers. Slow speed 100km/hr (need this to fly around ships nicely) all the way up to 10000000km/hr (~1/100th speed of light). At max speed the ships disappear in an instant (and you'll never find them again without a navigation system) and the earth slowly fades away. The sun is ridiculously far away. At top speed it would take 15 hours to reach the sun in my demo. Yes I can add more multipliers and allow traveling light speed or faster, but at that speed the earth flies by too quickly. It is very hard to navigate. You really need an in-game "computer" to plot courses and fly your ship for you. You would never find "small" objects like star destroyers. From the sun you can't even find the earth. It gets lost against the background of stars. My conclusion after making this demo for myself was space to scale won't be that great for games, but it might be interesting just to be able to feel how big the solar system is. If people are interested I can post the demo to see for yourself. I meant to do that a while back, but I got buried in another project for a while. I really like Drash's choice of scale and distance in his excellent demo. It really makes for a more interesting demo that way. @ccs: Whoa, that's an Interesting experiment you did, and really drives home the point of how much space there is in space. It's mind boggling that we're able to identify so many asteroids and small moons, not to mention exoplanets. And yes, I'd love to see your demo when you find the time. You're right -- until the very end of the tour, the distances are not proportional at all and only represent an artistic placement, although I think that gap between Mars and Jupiter is actually too small. If I were to go by the current artificial distance between Mars and the Sun, Jupiter would actually end almost 3x as far from the Sun than it is shown now. 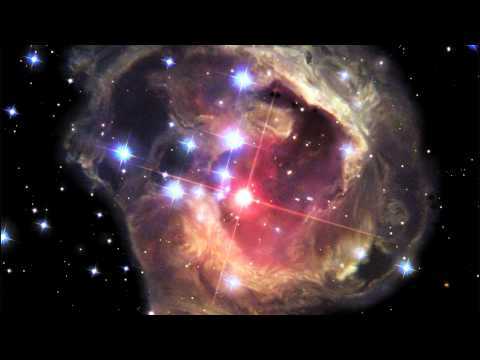 It is not a computer animation but actual photographed images by the Hubble over a period of 4 years (2002 - 2006) of an exploding star. Mindboggling if you think about the scale of this event. You know what also would be cool for ToS (but a lot of work) .. that you could descent down to the surface of planets and look around. There is a Rift demo out there where you walk around methane lakes (forgot the name) on some planet. Simple scenery but very appealing to 'actually be' there. That is really great! It's nice that the observable universe is vast enough for there to be statistically interesting things happen on a short enough timescale that we can appreciate. And, how lucky we are that Hubble's been successfully operated for ... 24 years now? There is a Rift demo out there where you walk around methane lakes (forgot the name) on some planet. Simple scenery but very appealing to 'actually be' there. Drash, do you have a ToS v2 in the running for DK2? Just wondering if you're thinking of adapting relative scales or anything for it. I'm eargerly awaiting my DK2 to see ToS in higher res and I absolutely love the score, it really makes the demo twice as good. Would it be possible in a v2 to have a jump to set/act menu? The demo is quite long and I've shown it to a LOT of people, often people have come around my home for a dinner party and queued for a go. It's quite amusing as they each take turns. It'd be good to be able to play individual sections of the demo. 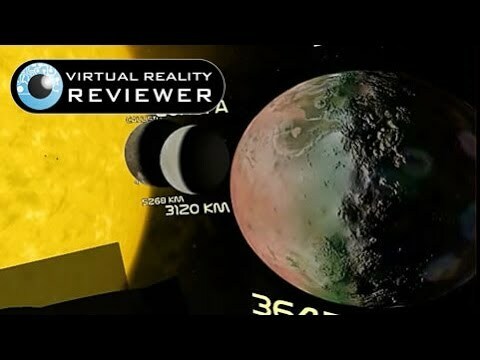 I'm a keen astronomer and I've often used a scale video of relative star sizes on youtube to illustrate how big things can actually become and this demo was perfect for me as it illustrated that point so much better. Not quite a V2, but there will be a V1.5 for the DK2. This will then represent the "free demo" and I'll be selling the follow-up sequels / episodes that cover other areas/aspects of the universe. Gotta make some money somehow... living in southern California is expensive! Totally agreed re: the music. Someone recently said to me "Good audio makes everything look better!" Until the next update, if you want to skip ahead to different parts of the demo, you can use the Tab key to hop ahead quickly to the next stop (3 second trip), or Shift-Tab to go even quicker (1 second). Anyway, glad I could help you demonstrate the amazing sizes of things to others. As always, if you have suggestions for things you'd like to see in this or in future demos, just let me know. Also, a very generous Diogo Figueiredo has submitted another Brazilian Portuguese translation, which has been posted to the site.